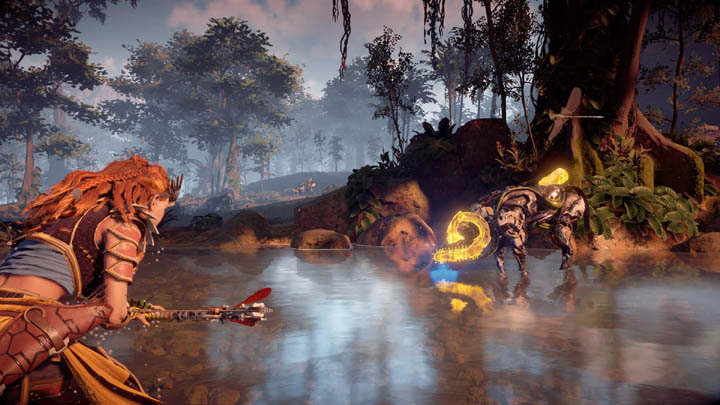 Once you get into the swing of things in Horizon Zero Dawn you'll quickly realise that your carry capacity is severely limited, that is until you upgrade your satchels. Whilst the first upgrades are fairly simple, you'll need plenty of Fatty Meat and Rich Meat to get the tier 2 upgrades completed. 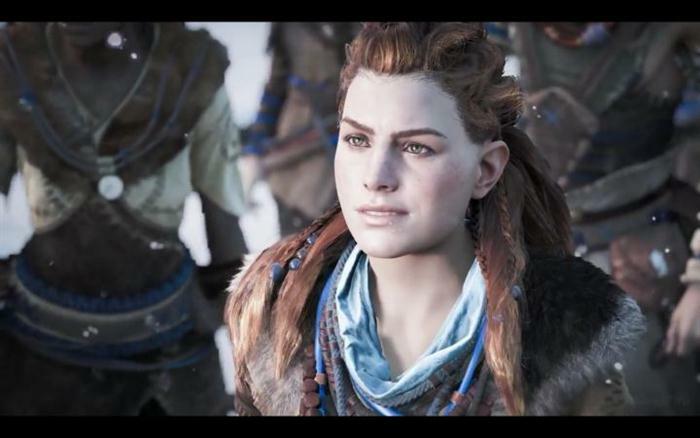 Unlike other RPG games, Aloy doesn't have a single inventory capacity in HZD, but instead has several satchels to hold different types of items. You must upgrade each of these in turn to carry more ammo, modifications, traps, arrows etc. 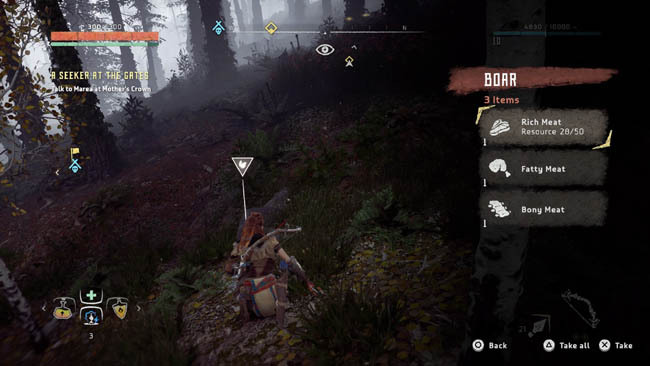 Two of the harder to find materials for new players is Fatty Meat and Rich Meat, both of which are not available from Merchants and must be scavenged by the player. Whilst you can create one of the games "Jobs" this simply tells you what you need to collect rather than telling you how or where to find it. So where exactly do you find this meat? First let's answer the simple question, where does the meat come from? 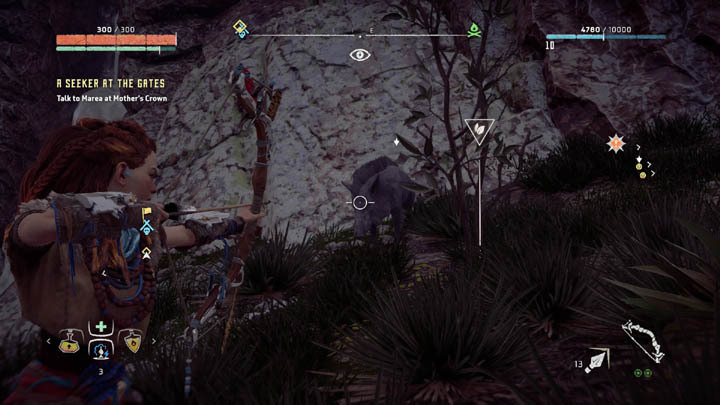 Well, it comes from the natural wildlife in Horizon Zero Dawn. Not machines, real wildlife. Racoons, Boars, Turkey, Rabbits etc. Early in the game you may have briefly encountered the odd Racoon or wild bird crossing your path. These are natural animals and successfully hunting, killing and collecting there drops can offer you Fatty and Rich Meat in return for your efforts. The type of animal reflects the kind of drops you will collect (plus a little bit of RNG). 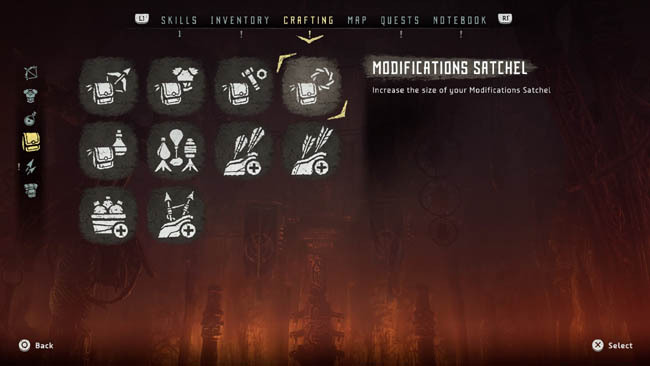 In fact, later in the upgrade tiers you will need Rabbit Bones and Boar Bones to complete the higher upgrades. These are even rarer drops that come from the natural animals in the game. 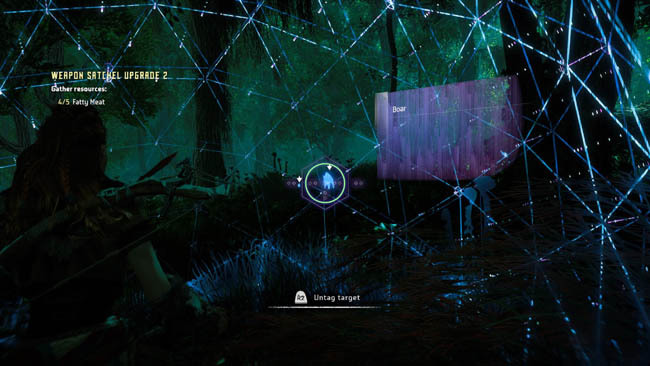 The best way to hunt and kill natural animals is to find one of the games more lush forestry areas, such as the eastern side of the world map, where dense trees, rivers and lots of tall grass can be found. The "Devil's Thirst" area is a great example, close to the first Tallneck route. Use the Focus Tool (Scanner) to pan the local area looking for animals. Use R2 to tag each of the animals you find and want to hunt - preferring to go for Boar if you can. They take longer to kill but have a higher RNG chance of dropping Rich or Fatty Meat. The animals may be fairly quick but they're still confined to bounds of the map like you. Force animals into cliff edges where they have no escape, making the kill easier. Avoid using your bow if possible to save ammo and simply go for Spear melee strikes instead. Tip: A great tip is to use your Mount to steamroll over animals, killing them instantly. The downside with this tactic is that machines are easily alerted to a stampeding Mount so stay away from Machine sites.